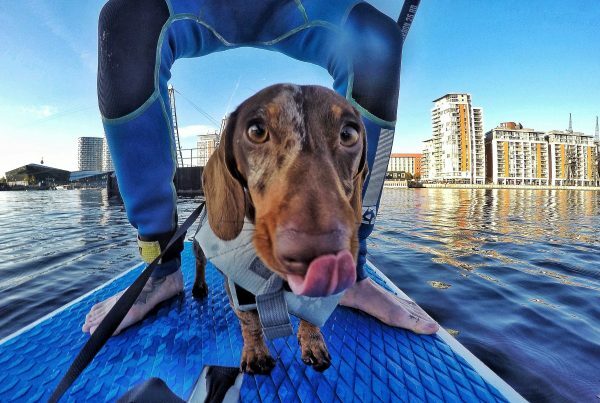 Summertime “and the livin’ is easy, dogs are jumping and the grass is high”… What better time to discover new places and engage in new activities?! 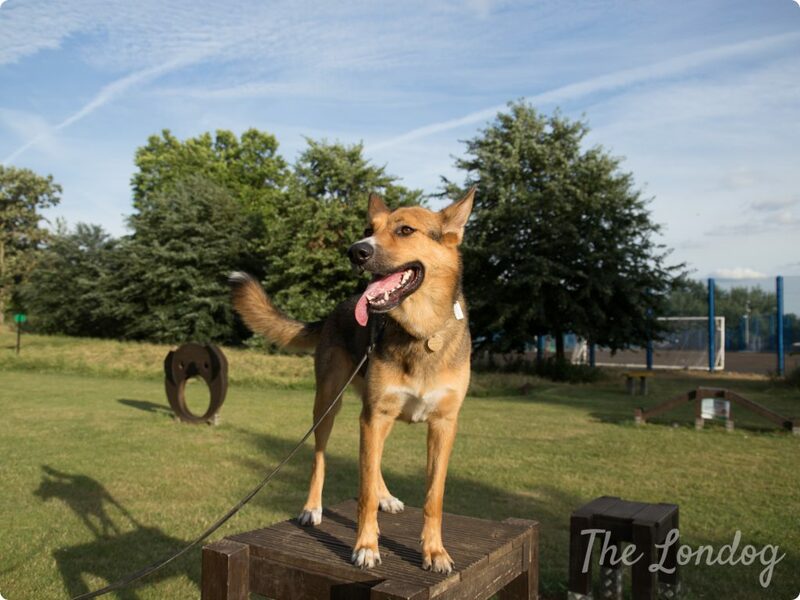 If your dog is a high energy type, a nice one is trying out some agility trails in a London park. 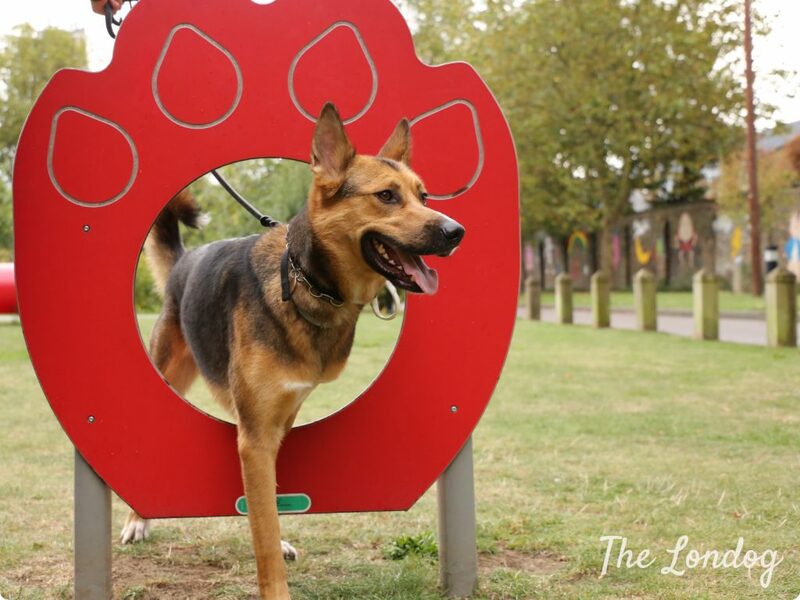 Argo and I found five of them all around London and we went and tested them for you! North, East, South or West London? We found a public dog agility trail for each. The only pity is that, out of the four areas, only two are fully enclosed. 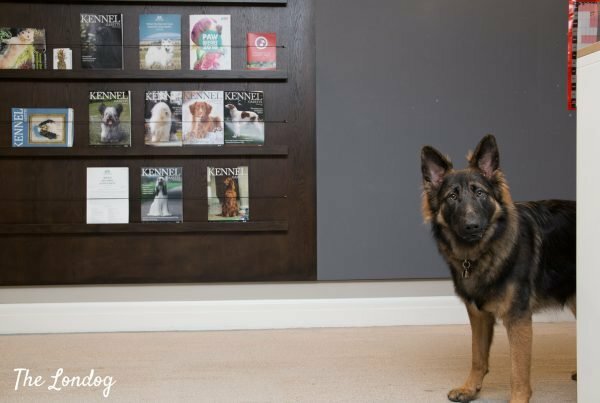 You won’t probably go to Crufts after exercising on them since some of them are quite basic, but you can have loads of fun anyway (and for free)! 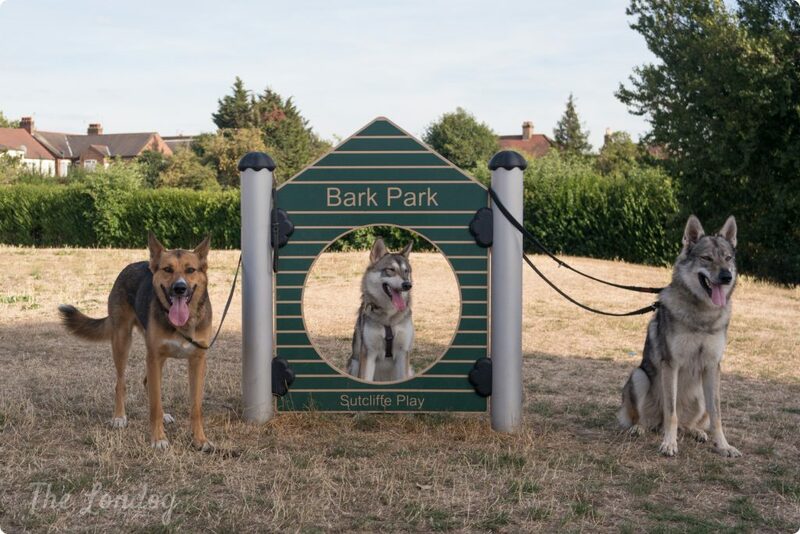 Chase Green (just off Redway Drive and busy Chertsey Road (A316)) hosts the “Bark Park”, a dog area which was developed at the end of 2014 and includes some agility equipment. This is the only public fully enclosed agility area we have discovered so far in London. The Bark Park’s course is a very enjoyable attraction. It includes a tunnel (or ‘crawl through’), a jump through, some weave posts and an obstacle for jumping. At the time of our visit the area looked very well maintainted and cared for; somebody also left a dog bowl chained to a tree, with a bottle of water. There is also a bench, in case you want to have a rest after the runs around! Whitton’s train station is less than 10 minutes walk far from Chase Green’s Bark Park. 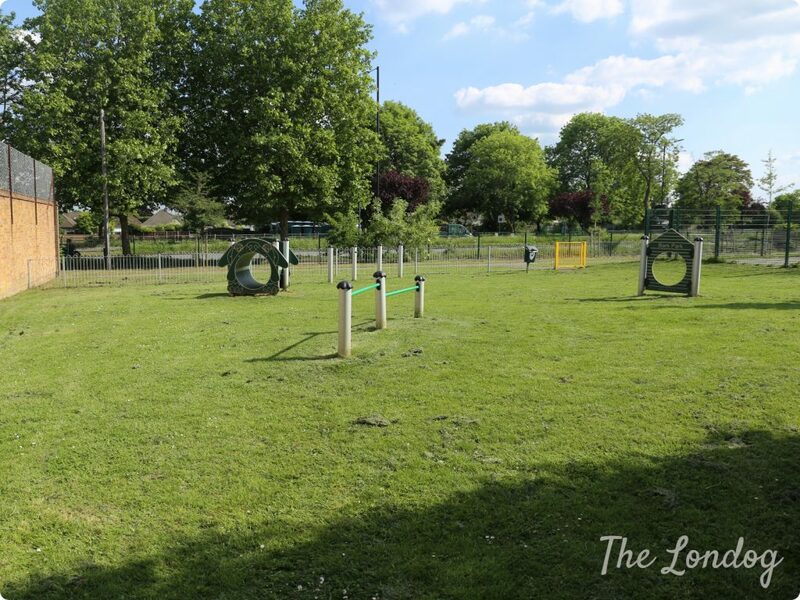 Mile End Park’s agility course is located in a quiet spot in the South West part of the park, next to the football pitch, just off Copperfield Road. 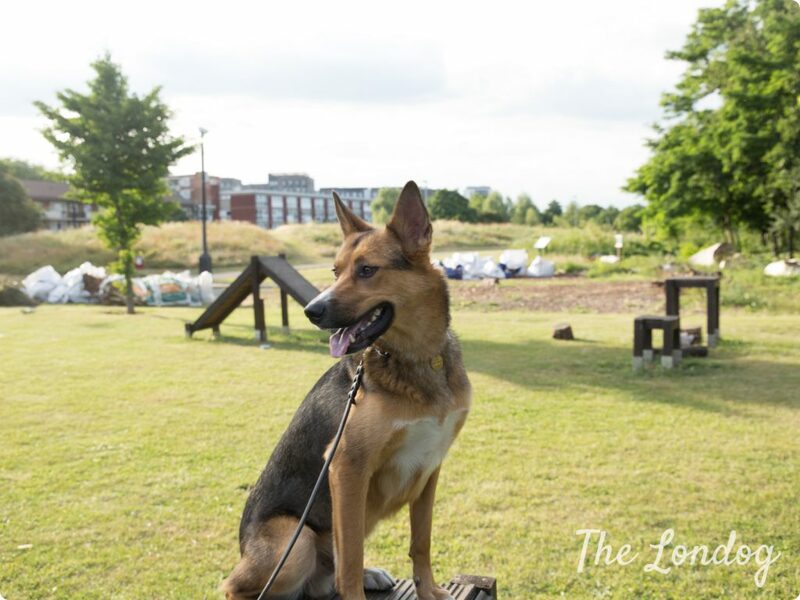 In terms of equipment, it seems quite good for large dogs, because there is a high A frame, two jumps through of different heights, jumps of various heights, a dog walk ramp and two wait tables, which Argo enjoyed very much. The equipment is made of wood, apart from the metal jumps. The area is perfect for some exercise sessions if you have an active dog, however it is not fenced off, so it would suit a dog with a good recall etc., although you can still try some equipment with your dog on leash (just be very careful that the leash/collar does not get tangled/other in the equipment to avoid incidents). 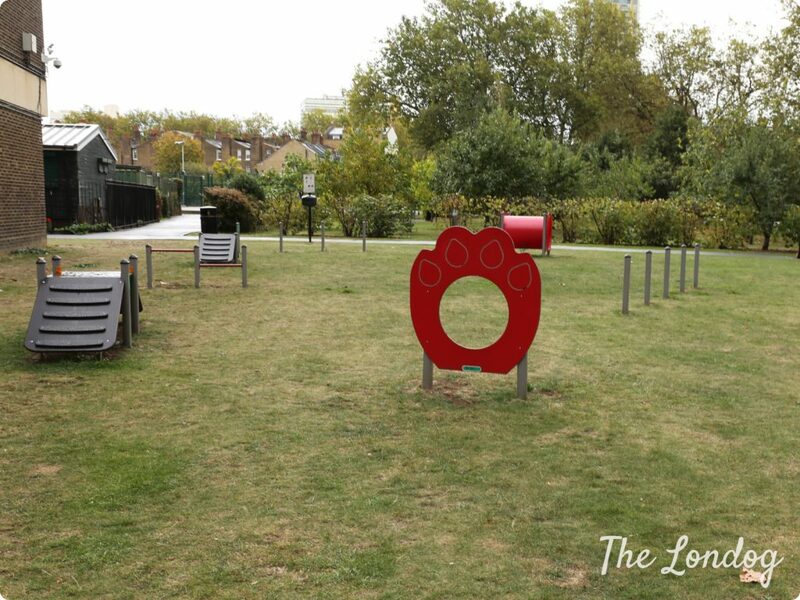 In Geraldine Harmsworth Park, just behind the Imperial War Museum and near the orchard, there is a dog agility course. 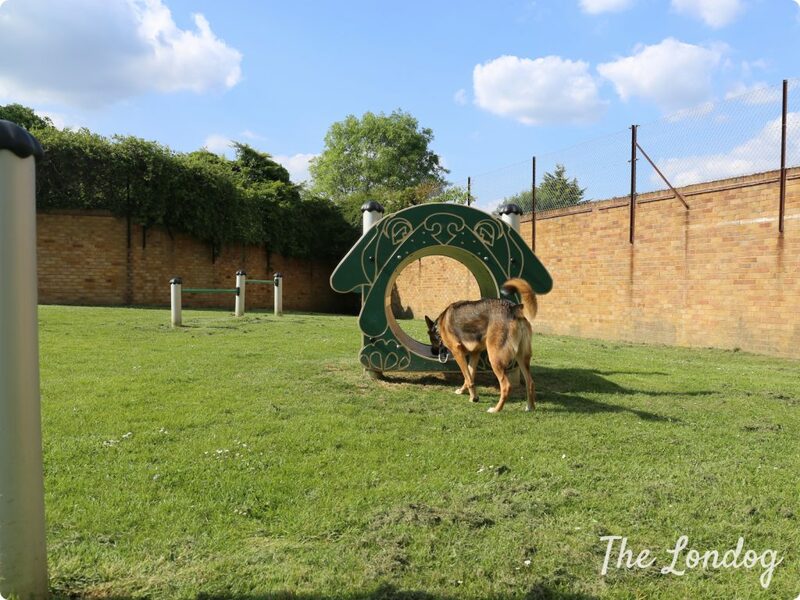 The agility facilities include two dog walk ramps, some weave posts, a jump through, a tunnel and some obstacles. The agility course seems quite new and well maintained, although we found it a pity that the area is not fenced off, especially considering that there are busy roads nearby. 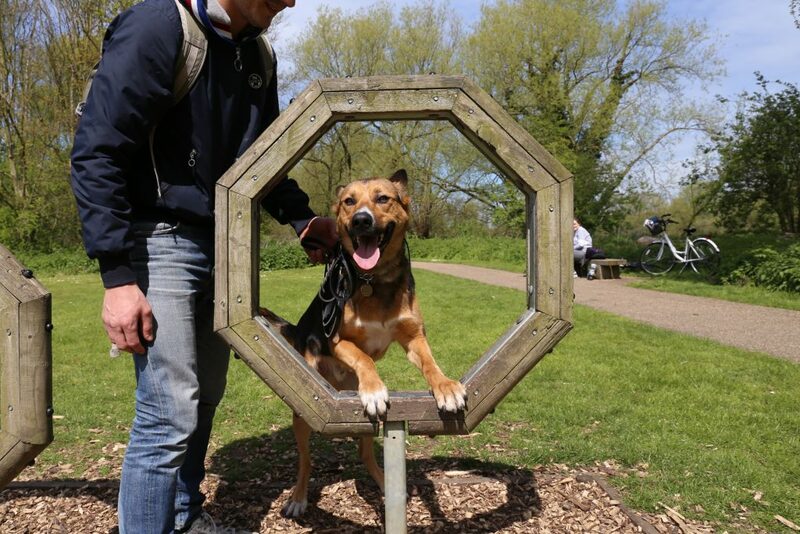 Renovations of the park are currently under discussion, but it seems that the dog agility equipment will be maintained in place (you can view the masterplans here). 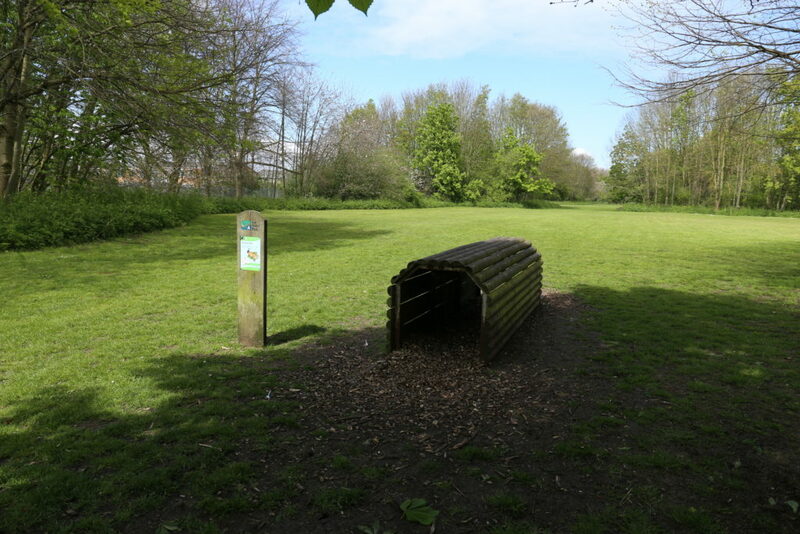 Lee Valley Park and its agility trail course was the subject of one of our first posts on the blog, last year. The park is the perfect destination for a weekend trip with friends or family, where to have a picnic, a walk, and give your dog a blast. The agility trail includes jumps, a woody weave, an A frame, hoops, a tunnel and high walks, so plenty to try out! The agility equipment is well spaced-out so, in order to try them all, my partner and I had a good run too! 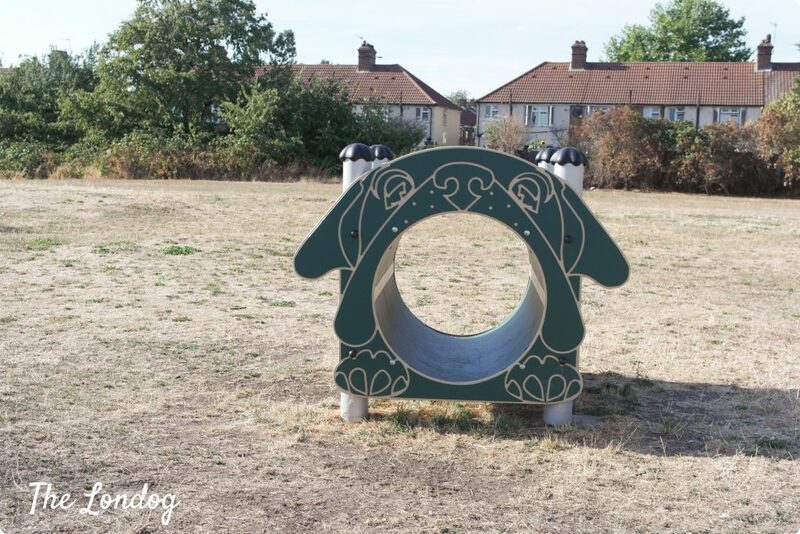 (Added on 4/8/2018) Agility equipment was installed in Higham Hill Recreation Ground’s dog exercise area after we published this post. We had finally time to go and check it out this weekend. Personally, I love that this agility course is in a fully enclosed dog park, for your peace of mind (please just note that part of the wooden fence on the border with the gardens of the residential areas have been burnt down so there are some holes at the moment; apparently the council is aware of this), and one of the largest we visited in London! 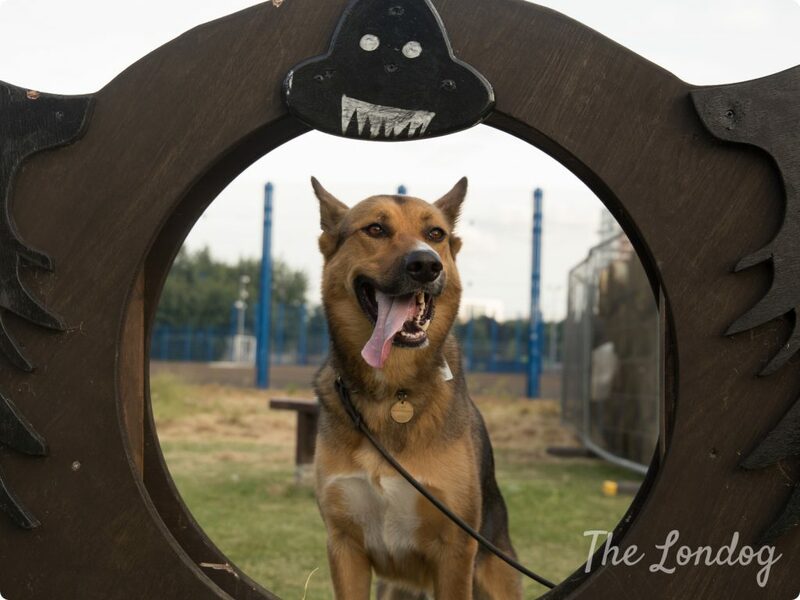 Argo and I went along with Vulric the wolfdog (on Instagram @wolfdog_of_london), Lyanna the Tamascan and Noodle the Australian Shepherd to try it out and had a great fun. 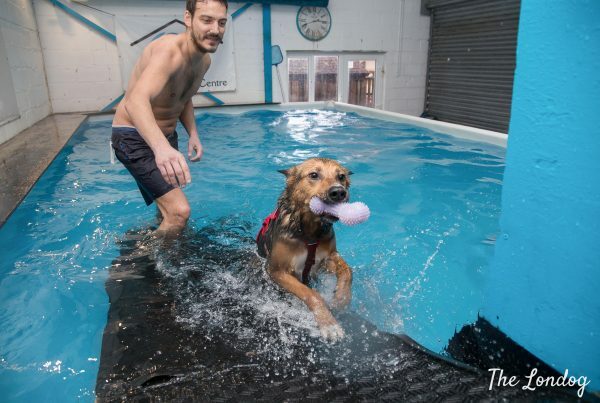 The equipment is exactly the same of Chase Green’s Bark Park (see above), with a tunnel, weave, obstacle and a jump through. Previous PostCanary Woof: Let Summer Fun Begin! Thx for this post, we went to try the Geraldine Harmsworth Park agility area today with my Labrador. It is really small with only a few obstacles, but I think it’s perfect for beginners. It was my lab’s first try and he loved it. 😀 There’s also a fenced area about another 2 minute walk, plenty of space to run around.